Happy Holidays everyone! Here’s my gift to you, a creative and fun way to use Raptivity. 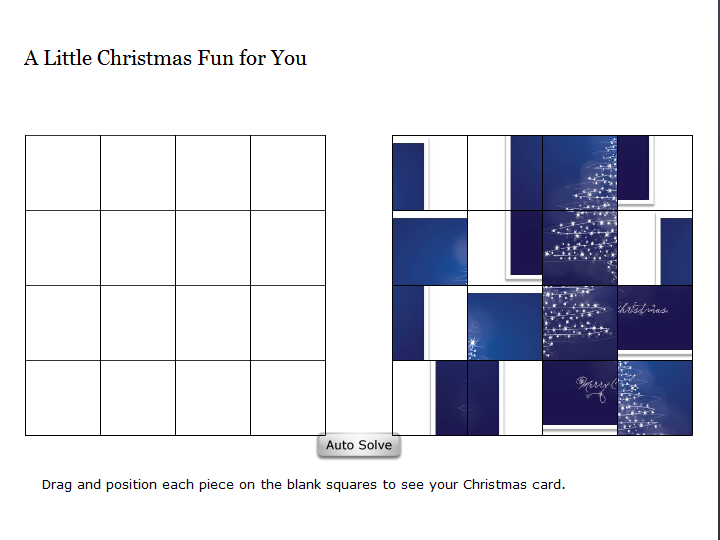 Below are screen shots of a Xmas card that a Raptivity user created with the Jigsaw Puzzle (Advanced) interaction. First she created the puzzle interaction and then she inserted it into Articulate Storyline. Using Storyline, she created the front “page” and then published the card. 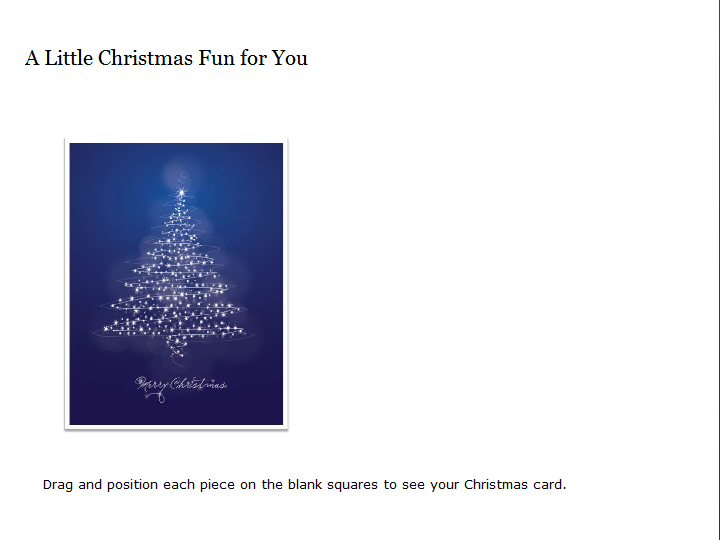 The results are a fun interactive Holiday card! Can you think of other ways to use Raptivity? If so, please send them to me so that I can share them. 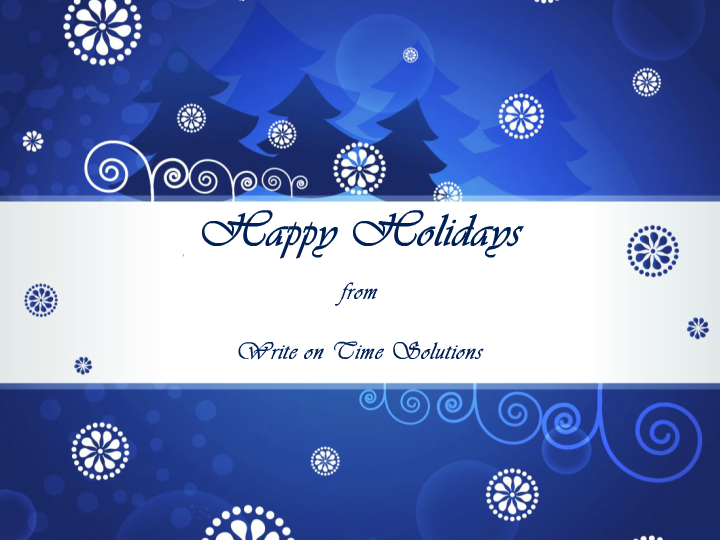 I wish you a Happy Holidays and look forward to seeing more of your great ideas in 2014.